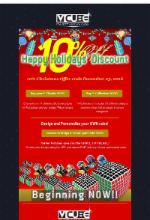 Our tradition at V-Cube is to celebrate the Holiday Season by offering a special discount on all cubes to our loyal fans. 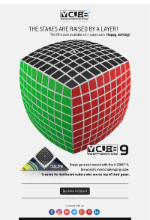 V-Cubing fun around the world! Speedsolving in Latvia & two brand-new V-Cubes released! 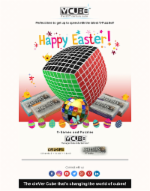 Cubers competed in speed solving in Latvia's largest biannual competition and V-Cube had to be there! V-Cube On board of "Game Track"
Solve to explore the awe-inspiring landscapes of the Australian outbacks and to get up close to iconic bird and animal species. 'Action-Packed' Agenda for V-Cube this Month!! V-Cube is proud to be main sponsor of 'Swim the Canal' of Corinth, a major swimming event in Greece taking place at home of V-Cube. 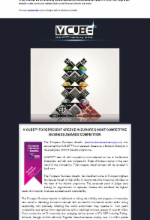 Five 'SURPRISE' Cubes for Winning Entries of Summer Competition!!! V-Cube 8th Anniversary - Are you in the 'V' Loop? Are you getting the latest information and making your mark in the V-Cube World? 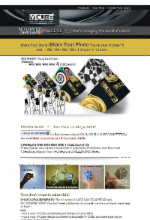 Get in the loop and sign up for all V-Cube's Social Media channels. We are always opening new doors to bring V-Cube closer to our fans. Super Student Event at the Dideco Store, Madrid, Spain. FIRST with the 'Pillow' Shape V-Cube. When, Why & How! In this issue we're featuring V-Cube's innovative design, the 'pillow' shape cube. You'll also get an exclusive look at the customized cubes designed by V-Cube as a sponsor of Black Rock Studios, Santorini professional song writing camp. Further, V-Cube is happy to announce we're on the move in Europe, with our products in retail stores in Poland and coming soon!! in Chile and Colombia, opening doors for V-Cube presence in South America. Chile and Colombia in South America are new, exciting destinations for V-Cube. 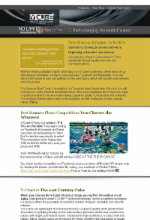 V-Cube is happy to share with you the first issue of our new publication NO LIMITS V-Corporate News. Through this initiative, we aim to inform our international associates of V-Cube activities and business news as it happens. 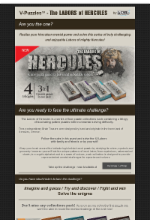 These one-of-a-kind cubes have proved very valuable to companies as incentive and B2B giveaways. 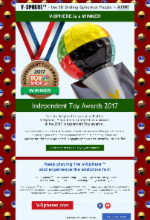 V-Cube at the Nuremberg Toy Fair 2016 & much more! In this issue, V-Cube's week at the Nuremberg Toy Fair 2016 (Spielwarenmesse) is top news. We're also highlighting V-Classics 'BUNDLES' super collections with super deals and three new theme cubes from V-Collections Fun, Art Emotions and Gems of Design series. New Year, New Horizons for V-Cube 2016! 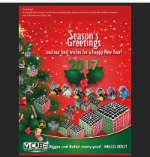 In this issue we say 'Goodbye 2015' with V- Fan-generated content on Facebook / INSTA during the year and 'Hello 2016' with exciting news on the V-Cube Exhibition at two international toy fairs, the Nuremberg Toy Fair 2016 this month where V-Cube is hosting a 'get together' party!!! and the New York Toy Fair in February. V-Collections Newest Cubes ...Travel Your Imagination! Every V-Cube is constructed with built-in quality using the same patented technology for all cube sizes, from 2 to 8 layers. 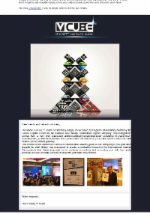 V-Cube's unified technology gives "the 21st century cube" unique advantages. Hint: the corner piece is the key!! V-Cube is happy to announce our new cooperation with Black Rock Residential Studios on Santorini. 'V's here for the launch! The new Hamleys is the largest toy store in Vietnam. Show and share your personalized V-Cube with V-Fans worldwide! 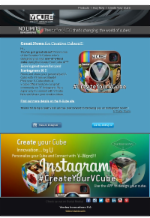 Post your V-Cube photo at v.cube.official and join our great community on 'V' Instagram. 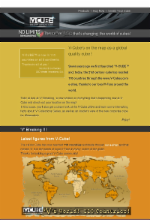 V-Cube's on the map as a global quality cube! 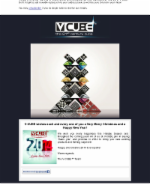 The 21st century cube has reached 110 countries through the www.v-cubes.com e-shop, thanks to our loyal V-Fans around the world. 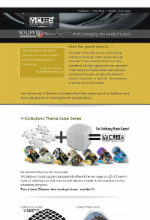 In this issue, you'll also get a closer look at the V-Cube pillow and learn some interesting facts about 'V' Collections Series, as well as an insider's view of the new corporate cube for Metaswitch. a V-Cube Innovation The V-pillow-shaped cube is a 'must have'. Turn&Learn ...for kids from 8 to 80! Corporate Cube V-Cube created this cube for Metaswitch as a corporate gift to its employees. Summer is coming to an end and we're beginning a dynamic new season. Our goal is to bring V-Cube closer to Fans worldwide through quality services and communications. Best Summer Photo Competition. You Choose the Winners! When you choose the V-Cube Classics range, you opt for innovation on all sides. We're also highlighting the V-Classics 4 layer family and V-Collections Fun Series 'Funky Spirals, 'as well as Canada and Montreal's famed Habitat 67. 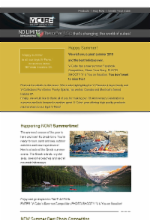 ENTER V-Cube's Summer Competition, PHOTO SHOOT!!. 'V' & You on Vacation! V-Classics 4 layer This even-sided puzzle cube needs a different set of strategies to solve. 'V' is available is fine stores throughout Canada. 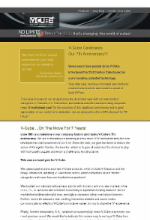 V-Cube Celebrates Our 7th Anniversary!!! 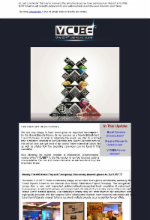 Seven years have passed since V-Cube introduced the 21st Century Cube based on our innovative, patented technology. V-Cube ...On The Move For 7 Years! V-Classics Great to play & compete! Welcome UAE to the V-Cube World! The 1st Show in the World around the Cube Puzzle!! Other hot topics are 'Hard Rock', V-Cube's sturdy 5x5x5 known for its smooth performance, Corfu Town, top choice this month in the V-Collections series and the great, new V-Cube especially designed for the Allianz Arena Munich. 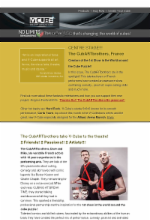 The CubARTbrothers take V-Cube to the theatre! Corfu Town No Ordinary Cube!! V-Cube at Avignon Festival, one of the most important contemporary performing arts events. And, the good news is...! This edition of 'No Limits' focuses on the exciting activities at V-Cube this month including the super successful V-Cube Facebook "Share Your Story" Competition. 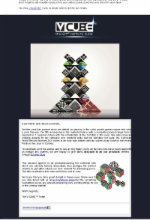 You'll discover why V-Collections is 'No Ordinary Brain Game' and get more info on New Share about 'what's happening now' at V-Cube together with our global partners. Share Your Photo "You & your V-Cube"!!! 3 WINNERS WIN! WIN! WIN! WIN! 'Funky Spirals' and 'Circles United' from V-Collections FUN Series and 'Maze' and 'Chessboard Illusion' from V-Collections CHALLENGING Series. 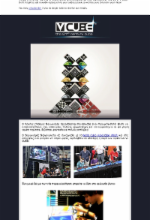 This is the first issue of "No Limits", our NEW e-Newsletter where you'll find the latest product and company news, inside information for speedcubers, happenings, the newest series of V-Collections theme cubes and everything that has to do with the cleVer Cube and YOU. 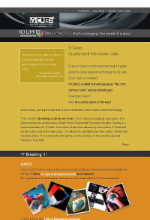 V-CUBE™ new, exciting web site 2015! New Markets, New Fans France & Mexico loves V-Cubes! in New York City Toy Fair and the International Toy Fair, Nurnberg, Germany. 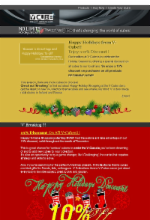 Holiday discounts from V-CUBE! Merry Christmass! 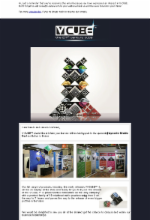 V-CUBE™ is taking part in the upcoming Playworld Middle East exhibition in Dubai. 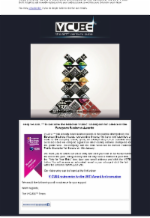 Exports Honorary Award and release of the V-CUBE 4 flat! 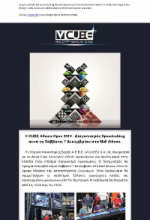 The whole V-CUBE™ Team is extremely happy as we have been given an honorary award by the Greek Exports Forum for our success as a Newly Established Export Company. The European Business Awards has identified some of Europe's brightest businesses based on their ability to demonstrate the three core principles at the heart of the Awards programme. V-CUBE™ has already been selected as one of the national champions in the European Business Awards, representing Greece.